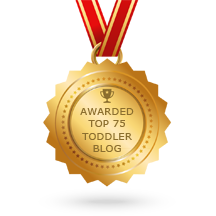 Book Review: Simplicity Parenting - Joyful Toddlers! I was looking for a certain post the other day, and it came to my attention that some of my posts didn’t make the transfer over from blogspot! I don’t know why, but I will go ahead and re-post them gradually. This one is a book review of Simplicity Parenting that I wrote almost a year and a half ago. Since then the book has taken the early childhood community by storm, and my mom gives out copies of the book to all of her daycare families–she thinks it’s that worth it. If you haven’t read Simplicity Parenting, you should definitely check it out. 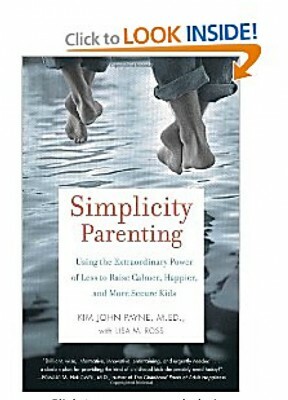 I really like the book Simplicity Parenting: Using the Extraordinary Power of Less to Raise Calmer, Happier, and More Secure Kids, by Kim John Payne, M.Ed., with Lisa M. Ross. Australian-born Payne has worked in Waldorf schools around the world as a school counselor. He has also worked as a private family counselor-therapist for the past fifteen years, and has worked with families in settings from the U.S., to London, to refugee camps in Jakarta and Cambodia. Payne talks in his first chapter about how the children he was seeing in his family practice were exhitbiting many of the same symptoms as the children with post-traumatic stress disorder in the refugee camps. He attributes this (quite convincingly) to the pace of our daily lives that has increasingly gotten out of synch with the pace of childhood. He looks at three areas that children tend to get over-loaded: too much stuff (including food choices), too many scheduled activities, and too much information (both from media and from parents). He goes on in subsequent chapters to look at each of these areas and give practical, step-by-step advice on how we can make them more nuturing for our children. One story that particularly interested me was when Payne described being involved in a research project looking into the efficacy of ‘simplification’ as a drug-free approach to ADD, or Attention Deficit Disorder. The group did two studies: the first involved fifty-five children from thirty-two Waldorf schools in America and Canada who scored above the 92nd percentile on the Barclay scale (the commonly accepted test for hyperactivity and inattentiveness). For these families they devised a simplification regime much like the one he outlines in his book. After four months, 68% of the children in the study went from clinically dysfunctional to clinically functional. They did the study again with different families, and got exactly the same results: 68% of the children went from above the 92nd percentile on the Barclay scale to below he 72nd percentile (within the ‘normal’ range). He says: “Our study counters the view that the brain’s “hormonal cocktail” is entirely predetermined and fixed…What our study shows is that these chemical landscapes and drivers (homones and tendencies) can be affected by changes in a child’s environment, and their lives.” (p. 29). In comparing their results to drug usage, he adds what I consider to be the zinger: “…one thing that was achieved by our methods that is not measurably achieved through drugs is this: The children in our study also experienced a 36.8 percent increase in academic and cognitive ability. Such indicators are flat with the psychotoropic drugs; with Ritalin use you do not see any noticeable trough or peak in academic perfomrance.” (p. 30). Anyhow, this is a very interesting book, and well worth reading. It gives lots of good ideas, and if you only implement one or two of them, it will be well worth the purchase price. I love this book. It changed so many things about the way I parent. I’ve recommended it to so many people I know. Also, we have taken many of the concepts and put them into action with very happy results.